Second day of races at Circolo Velico Lago di Lugano, where the 2019 Laser Europa Cup Switzerland is being played. 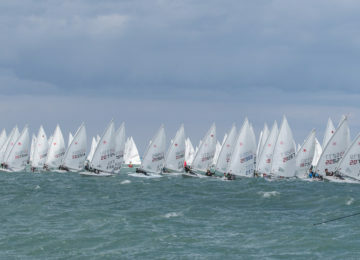 10-12 knots medium winds enlightened today’s competition, allowing three new races per fleet. 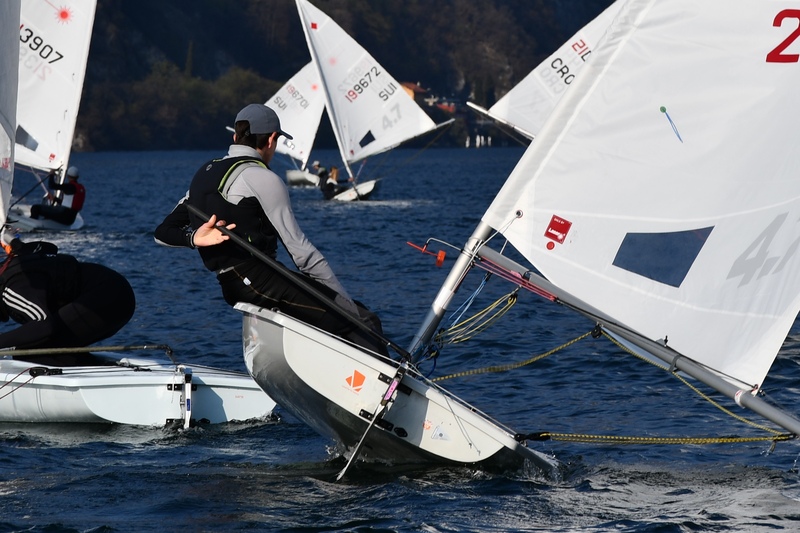 Swiss sailor Benjamin Dufour SUI (9-1-2-4-2) is now first among the Laser 4.7 competitors, draw in 9 points with overnight leader Eliott Raison SUI (1-2-3-3-9). Anja Von Allmen SUI (5-5-1-2-4) is first among 4.7 girls and third overall with 13. 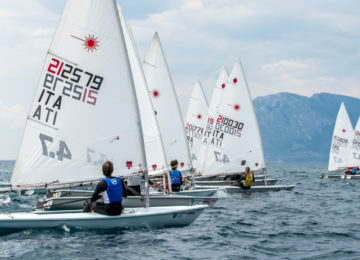 Close to them are Ursula Balas CRO (3-4-6-6-3) and Ludovico Cornaro SUI (4-9-4-1-15) on fourth and fifth places respectively. 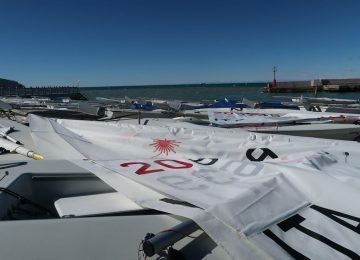 The Laser Radial competition is now solely led by Finish Otto Dahlberg FIN (4-1-1-10-5) with 11 points, three units ahead of Swiss Antonis Asonitis SUI (1-4-7-7-2) on second. Third place overall for Finish Liam Stampone FIN (5-3-3-8-7) with 18. 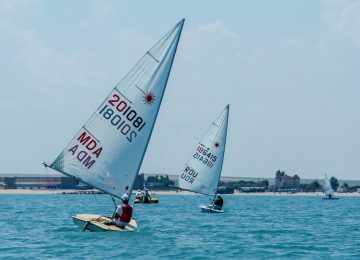 Italian sailor Domitilla Masetti ITA is first among Radial Women’s and ranked 34th overall. 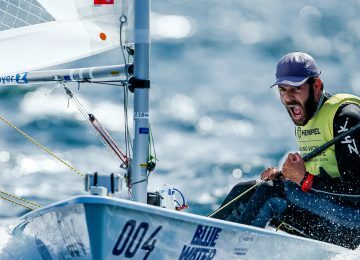 The Laser Standard fleet shows a tight leading now, with Finish sailor Valtteri Uusitalo FIN (2-1-1-1-4-4) and Italian Lorenzo Masetti ITA (1-3-2-3-2-1) draw in 9 points, closely followed by Croatian Marko Smolic CRO (4-2-3-2-1-3) with 11 units. Tomorrow will be the last day of races, starting at 12:00. More information, photos, videos and reports on Facebook, Instagram, Twitter and YouTube. By Agustín Argüelles – EurILCA | Cover Photo: Jean Luc Michon.